Yakima-born artist Thelma Johnson Streat had a whirlwind career — impressing Diego Rivera, Eleanor Roosevelt and Vincent Price — but fell into obscurity after her death. Now her work is getting fresh attention at the new Smithsonian museum of African American History & Culture. 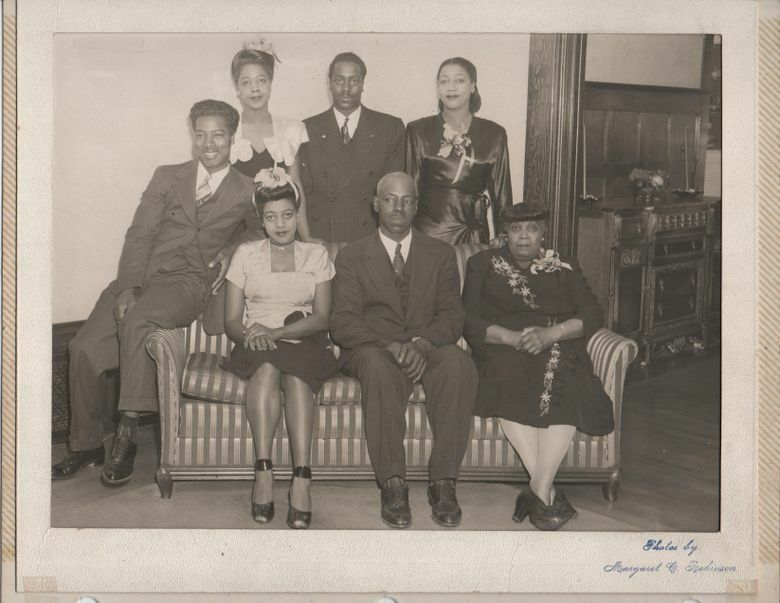 Thelma Johnson Streat was one of the Northwest’s bolder pioneers — but, since her death, often overlooked. Not anymore. As of Sept. 24, her 1940s painting “Medicine and Transportation” is on display as part of the permanent collection in the Smithsonian’s new National Museum of African American History & Culture, alongside works by Jacob Lawrence, Beauford Delaney and Romare Bearden. Born in Yakima and raised in Portland, Streat packed a whirlwind career into her short life. She was the first African-American woman to have a painting bought by the Museum of Modern Art in New York, worked with Mexican muralist Diego Rivera, gave a dance performance for the king and queen of England at Buckingham Palace, befriended Eleanor Roosevelt, fended off threats from the Ku Klux Klan, opened a children’s school in Hawaii (with an emphasis on art and multiculturalism), appeared on an arts television program in Paris and, by 1947, was one of only four African-American abstract painters who’d had solo shows in New York. 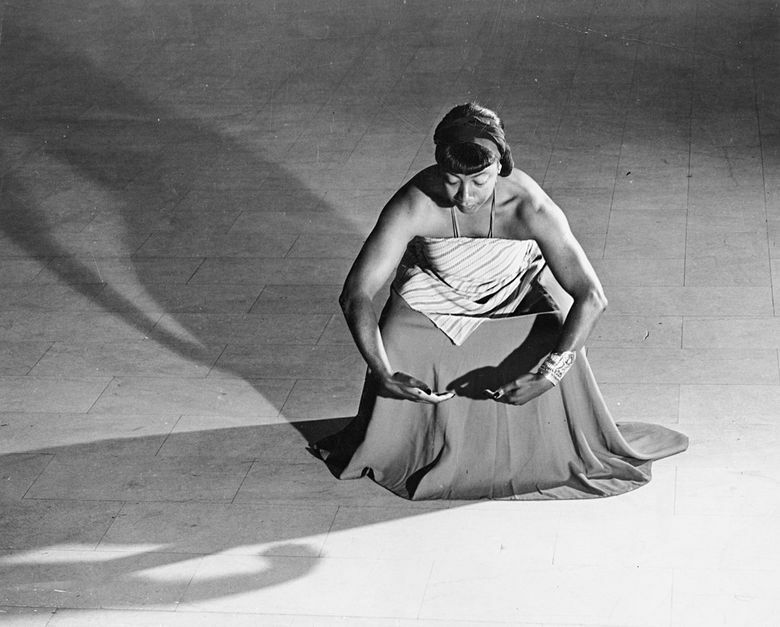 Her work was collected by artists and celebrities including Rivera, actors Fanny Bryce and Vincent Price, choreographer and activist Katherine Dunham (known as “the matriarch and queen mother of black dance”), and Roland Hayes, a composer, conductor and singer who bought four of Streat’s paintings the year after she graduated from high school. 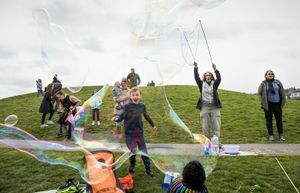 “She was bigger than life,” said Jackson, who lives on a ranch outside Portland and co-founded a nonprofit that trains veterans, ex-prisoners and at-risk youth in construction by building affordable housing. But after her death of a heart attack at 47 — in 1959, the year Jackson graduated from high school — Streat faded into relative obscurity. Neither the Seattle Art Museum nor the Tacoma Art Museum have work by Streat in their collections, and the Portland Art Museum has a single tapestry, from 1940, titled “Monstro the Whale” — but hasn’t posted an image of the work online. Streat worked with Rivera on murals for the Works Progress Administration, including a 23-ton work at the 1940 Golden Gate International Exposition. According to a manuscript in the archives of City College of San Francisco, Streat was one of the only assistants Rivera trusted to paint directly on the mural. Rivera wrote a 1940 letter of introduction, also in the college archives, to a gallerist describing Streat’s work as “extremely evolved and sophisticated enough to reconquer the grace and purity of African and Indian American art.” That letter led to a Los Angeles exhibition, including her painting “Death of a Black Sailor,” which sparked threats from the Klan. “She did that painting after World War II, when African-American soldiers were coming back from the war,” Jackson said. “The lynching at that time was extremely heightened,” moving Streat to paint “Sailor.” The Klan demanded the Los Angeles gallery remove the painting. The gallery refused. Streat, Jackson said, “focused on the history of our people” — but not exclusively. Her art took on inflections from her surroundings, wherever she spent time: Ireland, Mexico, Hawaii, or studying Haida dance and art in British Columbia’s Haida Gwaii, formerly the Queen Charlotte Islands. 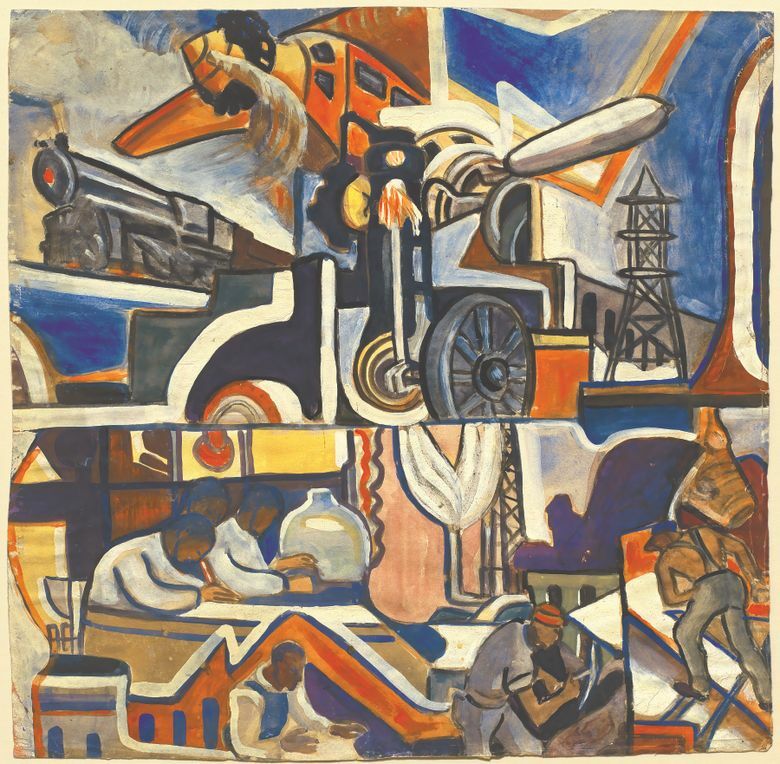 “Medicine and Transportation” at the Smithsonian, for example, was painted shortly after her work with Rivera, and shows both his political and stylistic influence: In the lower portion of the painting, unembellished African-American figures work in lab coats and on building sites while icons of industry — a locomotive, an airplane, a dynamo — hover above them.